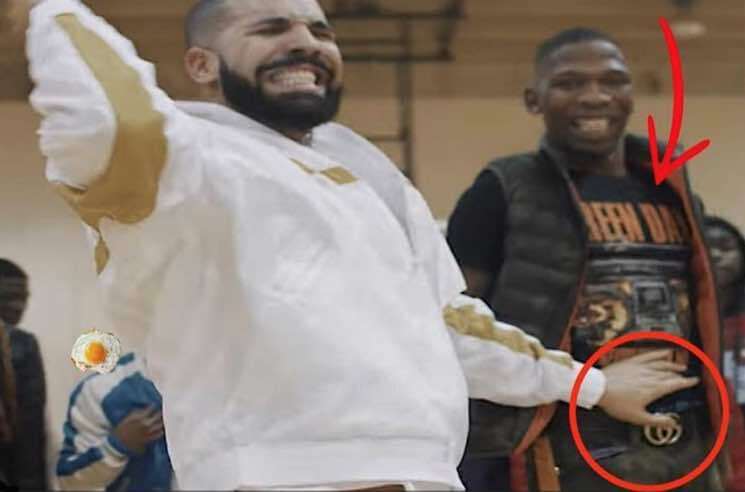 Drake popped up in BlocBoy JB's new video for "Look Alive" last week, but he wasn't the only artist getting a special nod in the clip. While Drizzy stayed true to the track's lyrics and rocked name brands, BlocBoy JB went a more punk rock route with his fashion by sporting a Green Day tee. Sure, the Memphis rapper paired it with a Gucci belt, but the shout-out still didn't slip past the band. A meme by Sonny 5ide Up surfaced after the video's release featuring a screenshot from the video and the text: "My favorite thing about the new Drake video is BlocBoy JB wearing a Green Day shirt with a Gucci Belt." Green Day reposted the meme over the weekend with the caption: "Same tbh." See that post below. Maybe now their next album will be titled 6 God's Favorite Band.